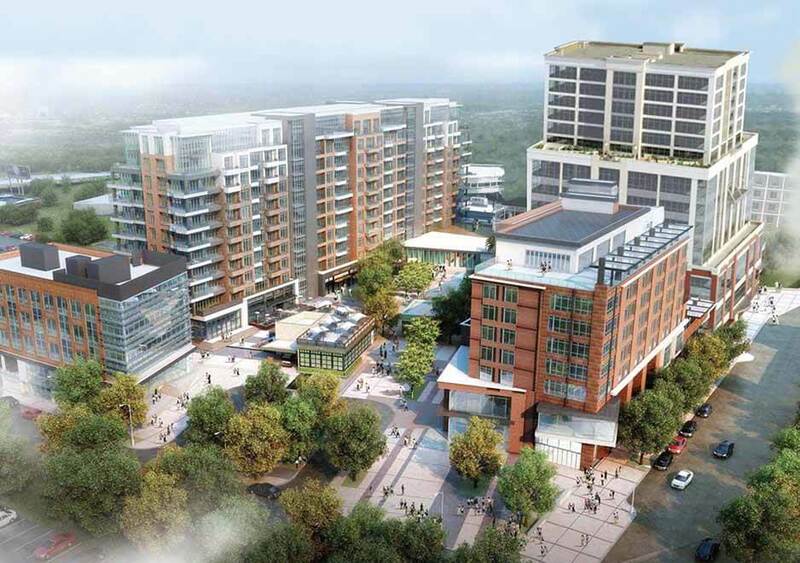 One of the newest real estate developments in downtown Greenville, SC is the Falls Tower Camperdown. 435 South Main Street is the new location address for Falls Tower Camperdown. This re-development taking place at the location of the old Greenville News building has been talked about for years and much anticipated by anyone watching downtown real estate development. At 17 stories Falls Tower Condos will be the second tallest condominiums in downtown Greenville. Amazing views of the Blue Ridge Mountains and a new and interesting city-scape. Views will be the main attraction for Falls Tower condos. The Camperdown condos are asking around $1.6 MILLION for a 2,800 s.f. space once they are completed. There are 18 residential units. There will be much more then just residential in this complex. Falls Tower and surrounding buildings will house retail, commercial, a luxury hotel, shopping, dining and apartment residences. The Falls Tower Condominiums will have private parking garages, a roof top grilling fitness center, a welcome lobby, a garden area and access to the apartment's pool area. These units will start on the 11th floor and go to the 15th floor above Main Street. The area around the Falls Tower is full of activities and things to do such as going to restaurants, shopping, parks, galleries, and festivals. Falls Tower is situated at the border between central downtown and the West End and that is where much of the new development and growth is happening currently in Greenville. Any place downtown is not to far to walk to currently, but that might be changing with the current growth. The Fluor Field baseball stadium anchors much of the activity, but The Swamp Rabbit Trail, The Peace Center and Falls Park to name a few within easy walking distance all add up to make this location one of the best in Greenville, SC.